Disclaimer: I received the DVD free of charge for the specific purpose of reviewing them, however, all views and opinions are my own. Anyway, Happy Easter to you all anyway. I hope the chocolate is warming your cockles if not the sunshine! While we’re on the subject of those fluffy white clouds, those nice people atAardman, the acclaimed creators of Wallace and Gromit, have asked me to let you know they’ve launched a new Shaun the Sheep DVD this Easter – Spring Cleaning. 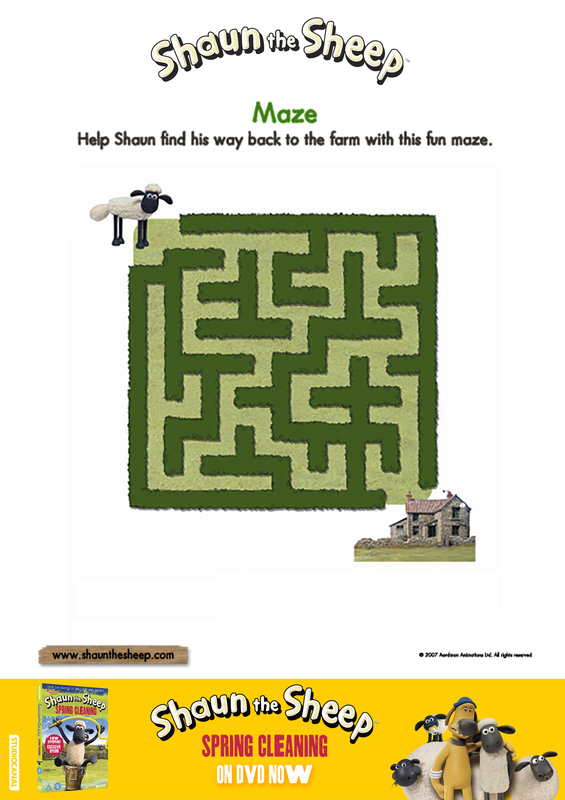 I don’t know about you, but Little Chap feels he’s outgrown Timmy Time, but not so our chum Shaun. 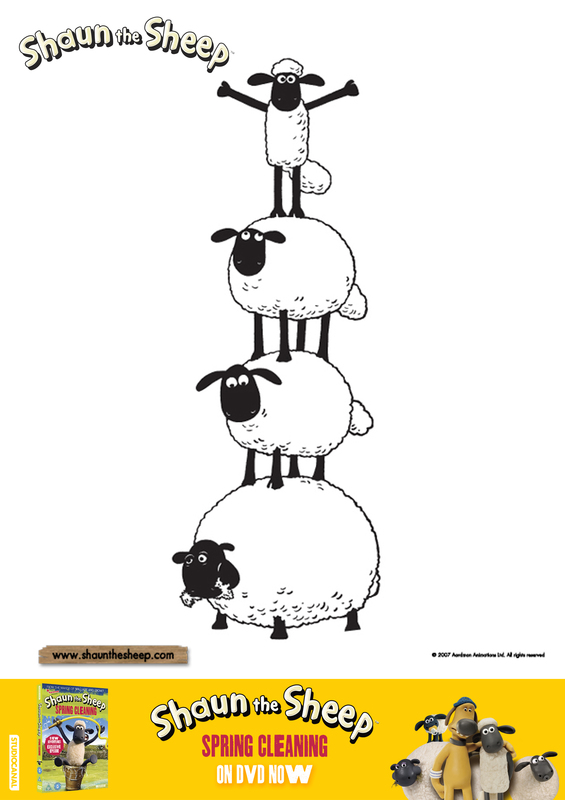 That clever (and ever so slightly “wicked”) little sheep has us rolling around guffawing with laughter every time. Kids and adults alike. The episodes play out with two levels of humour, adult and child, without a word spoken. It even appeals to the grandparents in our family (no language, so none can be frowned at) so is perfect to bring out at family gatherings if the kids need to “settle down” a bit as it won’t offend. You might find instead, that all your guests have “settled down” to watch it too! Shaun the Sheep is Aardman’s family favourite, a TV series recognised all over the world for its slapstick humour, distinctive look and strong, quirky characters. The series is now in its fourth season and Shaun’s first movie is in production with Studio Canal right now and scheduled for release in Spring 2015. The DVD was launched on 7th April and is available from all good retailers and online. Shaun The Sheep: Spring Cleaning [DVD] features ten brand new episodes of Shaun’s spring adventures and some behind the scenes extra features, including one that shows you how to animate Shaun the Sheep, using Animate. This entry was posted in Little Chap Sees, Reviews & Recommendations and tagged Aardman, Easter activities, Free printables, reviews, Shaun the Sheep by Mayfair Mum. Bookmark the permalink.